The platform is developed to help buyers and sellers get the most value out of e-commerce, using the most reliable technologies available! Buyers will have the choice between our token and/or other coins and credit. We offer the buyer an incentive that is to use only our token, to save 10% of all lifetime purchases. 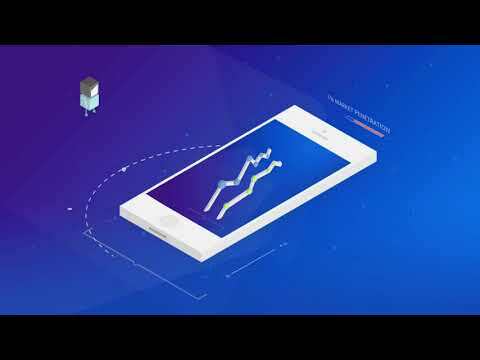 On the sellers’ side, they have a platform on which they will pay monthly, on this platform, they are able to list their products and services, choosing any of the available currencies to receive as compensation. Now they also get an incentive to sell using our token, all sellers will pay no exchange fees and only pay 50% of the monthly subscription payments. Unlike other market platforms that require that you only use their coin, we give you the option to use other coins, credit cards or debit cards. We offer 24/7 support for sellers as well as buyers. Team is very lean at 6 persons only... to handle a marketplace platform. Will review rating again if there are more updates. Or a response from the team will be helpful. Bitzon is a fairly straightforward idea, but one that could prove to be effective. The team looks ok and KYC has been passed, although I'd like to see some advisors added. The vision looks solid. The history of crypto, which started out with bit coins, is now beginning to narrow its path to investment (or speculation). It does not make sense as a currency because it is very difficult to exchange currency with things, even if you can exchange currencies. There is currently no way to save a local seller who would benefit when payment becomes borderless. The aim of this project is there, and there is the ideal form of crypto development here. The team is currently in the middle of KYC and I will improve the evaluation if this is done. The team is a small team, but it seems to be enough to do this project. The product release seems to be possible soon. The road map is a long-term book and realistic. It is valuable to aim for global TFA distribution! I believe that this trading platform for the entire world is a project that makes maximum use of the good points of block chain technology. This gives you options other than using trading companies in trading around the world. It will cut any intermediary fee and will have great benefits. Platform Beta Release to Whitelisters. Android & iOS App Development. The Platform is Completed and Released. iOS & Android App Released to Beta Testers. Global Marketing & Full App Release.